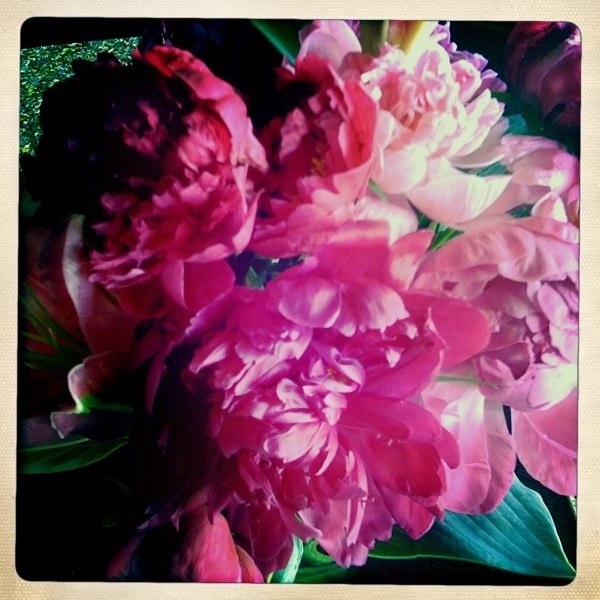 Just thought that I’d share a photo of some of the most perfect peonies I’ve seen in a while. Picked them up at the good ol’ Dane County Farmers Market this morning. Aren’t they the gorgeous? In addition to picking up some good looking herbs for my planter out on the back deck, we also got our customary chocolate long john for breakfast. Shawn was so happy because we stopped at Fraboni’s, an Italian grocery, for some cheeses, pepperoni, and such. We’re going to be making pizzas for some friends tonight, along with some homemade strawberry icecream for dessert!